We’ve discussed before about how the British Brutish left have a blind eye to the Celtic Nations of this so called United Kingdom. But it’s worth re-visiting this subject from a slightly different angle. I remember George Galloway visiting Aberystwyth as part of his UK tour, probably in 2004. After his eloquent tirade against American Imperialism and denunciation of the Iraq War a brief Q & A was held. Someone asked a question about Welsh and Scottish Independence, and in his response he said that travelling from Scotland through England to Wales he didn’t see himself as crossing any genetic divides. We were all the same people, and why should we draw up barriers between each other. This seems to be a stock answer by people on the Brutish left (ironic coming from Galloway, considering his support for Brexit, but that’s another matter altogether). There’s this peculiar combination of One Peopleism, breaking down barriers, and a visceral hatred of US Imperialism. Talk to members of Momentum about who their heroes are; what causes they’ve supported; what marches they’ve been on. Time and again, you’ll hear about Cuba, Ché Guevara, Castro, Nicaragua, the Sandinistas, Venezuela, Ortega, Bolívar, Allende, Victor Jara, Hugo Chavéz and many others in Latin America. The Latin American liberation movements are always high on any of the left’s list of heroes and inspirations. These people and movements fought for the liberation of their small countries against the tyranny of capitalism and the United States. Or so the Brutish left sees it. In their minds eye they are the sons and daughters of Ché Guevara and Símon Bolívar carrying on the good fight against oppression and tyranny. Sadly, they’re not. In fact they’re part of the problem. By being members of the UK Labour Party they prop up the tyrannical system. Because what these people fail to see is that these movements headed by Símon Bolívar, Fidel Castro, Daniel Ortega, Salvador Allende and others were not only Socialists who fought for equality and justice, with democratically elected Governments, but they were above all Nationalists. It’s this that the Brutish left just don’t understand. Castro, Guevara, Cienfuegos, and their 26 July revolutionary comrades didn’t fight Batista in order to become fully recognised as the US’s 51st State, under the belief that they were One People. They fought to liberate Cuba from the US’s imperial meddling, getting rid of the US’s Cuban puppet in order to improve the lives of Cubans. Note that point: to improve the lives of Cubans. Not the people of the Americas. They believed that they could build a better country in Cuba and become a beacon for the rest of the world to follow. Think global, act local. Símon Bolívar, one of Hugo Chavéz’s great heroes – fought to liberate South America from Spanish rule and create several new independent sovereign states – Venezuela, Bolivia, Colombia, Ecuador, Peru and Panama. Whisper it quietly but Hugo Chavéz was also a Nationalist fighting off the imperial meddling of the US and putting the people of Venezuela first – not the wealthy aristocrats, or the oligarchs of other Nation States who might have wanted to settle there as they did in Cuba in the 1930s, 40s and 50s or as they’re doing in the UK today. As an enlightened nationalist he also used Venezuela’s then considerable oil wealth to assist other countries who needed assistance. But he didn’t give up his nation’s sovereignty to another. He was first and foremost a Venezuelan. We face the same battle here today as Chavéz, Castro, and Bolívar faced in Latin America. We’re controlled by an outside Government with no interest in the wellbeing of our people and who use every possible means to extract as much wealth as possible out of the country and from the people. We have amongst the highest levels of poverty in northern Europe. Food insecurity is the worst in the EU, and over a quarter of our children live in poverty. The wealthy use us as a playground. Life expectancy in our poorest areas are amongst the lowest in northern Europe. And the Labour Party – Corbyn’s Labour Party – want to see this unequal, unjust system continue, in the name of One People. The belief that we are all the same is far more important to them than creating a fair and just society that could influence our neighbours. The illogicality is astounding. Here they have an opportunity to build a nation state of equals. But instead they rather maintain a failed UK State of unequals – the most unequal State in the world. Instead of putting their faith in hope, they’ve opted for fear. Afraid of what might be. Better the devil you know, even if is the Tories. 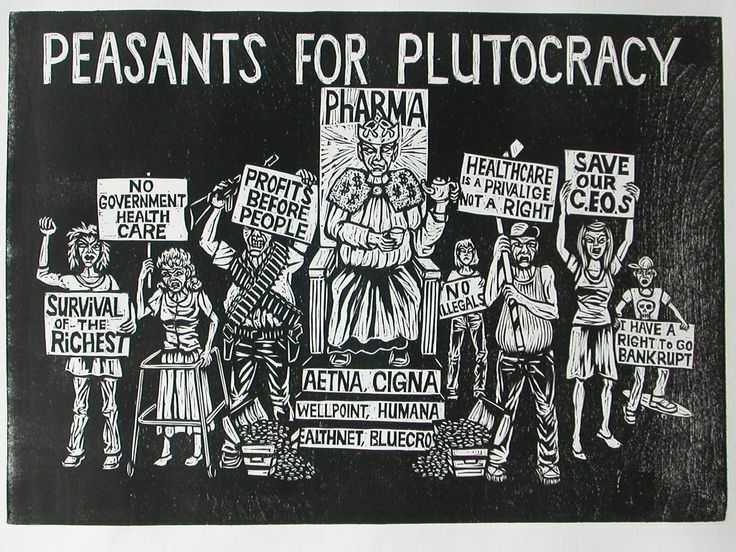 We are governed by a toxic combination of an aristocracy and plutocracy. This is how it’s been since the end of feudalism. This is how it’s going to remain until we have our own revolution. And the Brutish Labour left are completely blind to this, and are part of the system that maintains this state of inequality in the name of One Peopleism. This serves the Brutish Aristocracy/Plutocracy well. Nationalism – Guevara’s Nationalism, James Connolly’s Nationalism, Mandela’s Nationalism – this is a love of the people, all people, and the belief that all people have the right and the ability to prosper and play an equal part in building the nation to become the best it can be, a beacon for others, a symbol of hope. So the message to those on the Brutish left who see themselves as the heirs to the revolutionary struggles of Latin America: you can be their heirs. Join in the liberation movement right on your doorstep. Fight for an independent Wales, so that we can build a country which respects everybody and allows everybody to be an equal member. It’s all well and good to look back in anger at the treatment of the people of Latin America, and shake a fist at the CIA’s meddling. But if you really, truly, want to learn those lessons, and say that you were part of a revolution, then join us in the fight to liberate the people of Wales. Which of your Latin American examples is a country where the native (i.e. ‘pre-Colombian’) people, their language and culture etc. thrives, has some significant clout, or even survives? I say this because in a UK context the Welsh as a whole are just a bunch of ‘natives’ that have somehow survived the coming of the English, and then within a Welsh framework, the Cymry Cymraeg are in much the same boat. Where to draw the line? Would you support a liberation movement for Gwynedd, or for a free Bro Gymraeg? Scotland seeks to restore it ancient nationhood, put on hold at the time of the Union, so the situation there relatively simple. The old parliament was formally reconvened at Holyrood, and Scots Law was never merged with that of England (incl. Wales of course). But afaik there never was a single Welsh political unit, except once or twice for a year or two by accident. The place was conquered piecemeal, nibbled away at by England over a long period. What then is your basis for One Wales? And “our” (using myself as an example) peculiar combination of support for remaining in the EU, and a visceral hatred of the UK? It’s easy – for a remainer – to reduce this to “well, one we benefit from, and one we are exploited by”. But it’s just as easy to see how quickly this defense will be pulled apart by unionists on both the Welsh and English side. We’re seen as cherrypicking our independence, wanting our cake and eating it, etc; the mainstream media leaders and op-eds’ first paragraphs are already writing themselves. I think it behoves us to first set out in detailed and reasoned terms why it is we can support the EU and not the UK, at once pro-union and pro-independence, otherwise we can’t use the English Left’s hypocrisy as a weapon against them, lest we be hoist by our own petard. OK, so I think we need to hold a mirror up here. Granted this was not written when Price was leader of Plaid. But price is the one who pushed for, and would again, a coalition with the Tories. In what warped world is this falling in line with what you suggest above? The same party who doesn’t care about Wales you say? But you’re happy to form an alliance with them in Wales? Price also has spoken about himself in terms of being THE prophet! The author of this piece is a brilliant Socialist whom I respect a great deal. But what is not factored in here, at all, is that all those countries/leaders you list Corbyn has been supporting, and visiting, his entire life. He marched to defend Allende. None of what you say adds up in the way you are presenting it. Not using Plaid as the vehicle. Whether you like Corbyn or not, and going against him and his policies would mean attacking a huge part of what Plaid stand for and offer. Again, it makes no sense. One thing I think we can all agree on is that this is an ULTRA rare opportunity re a Socialist within touching distance of power in one of the world’s major players. In a Western democracy. To turn our back on this BECAUSE of nationalism is, quite literally, selfish and insane to me. THE most important thing, surely? !, is wanting the best possible outcome for the most amount of people? The colour of the party, to me, is totally irrelevant. Policy & people are key. NOT party. If it was possible to achieve what the author wants in Plaid, then people would have flooded into Plaid. It is literally not possible for Plaid to make the changes needed. Saying otherwise is being totally deluded. I know this, you know this. Especially now under Price. Leanne Wood was your best option and wouldn’t touch the Tories. Unlike some Plaid councils and your new leader. So, why would us Lefties throw away an opportunity that has never presented itself before and may not present itself before?! It would be ridiculously irresponsible to do so. Even if Plaid got into power, alone, in Wales. What then? Westminster would not be friendly, unless Corbyn was there. Even then we know that Labour in Wales, which may well be taking it’s long overdue turn to the left if Drakeford becomes leader, WILL get more. I care about doing the best for all. That included Wales. I am Welsh and proudly so. But I’m not consciously selfish. This is not Blair here, this is Corbyn. It’s not Carwyn Jones, it is hopefully Drakeford. Will it be perfect? No, obviously. Will it be better? Yes, definitely. Would this position of power help Latin America via Corbyn-absolutely, yes. Would it if Plaid won? No. Not at all. As I say, all those people (the ones living) and countries are desperately hoping Corbyn gets in. Why? Because in terms of Nationalism for them, or collectivism which Bolivar ALWAYS put first BTW, Corbyn IS the best option. As he is for Wales. That is factual due to the electoral process, whether you agree or not. I don’t want future generations saying-“You blew it!!! We had one chance & you blew it by being partisan and putting Nationalism before logic and people (in this context. Corbyn context). You fractured and argued like the Left ALWAYS do, and you blew it”. I respect much about Plaid and a lot about the Plaid folk close to where I live, especially the author, but you could not possibly be more wrong re the best way forward. In fact, you are hindering our best,and only, chance. Though not the intention, and I believe you believe what you are writing, it is selfish and totally counter-productive (independence aside; and even then…) in terms of achieving what you, we, me want to achieve as Socialists. Your Cuba point-Castro, and Cuba now, wanted/want Corbyn. That tells you all you need to know.